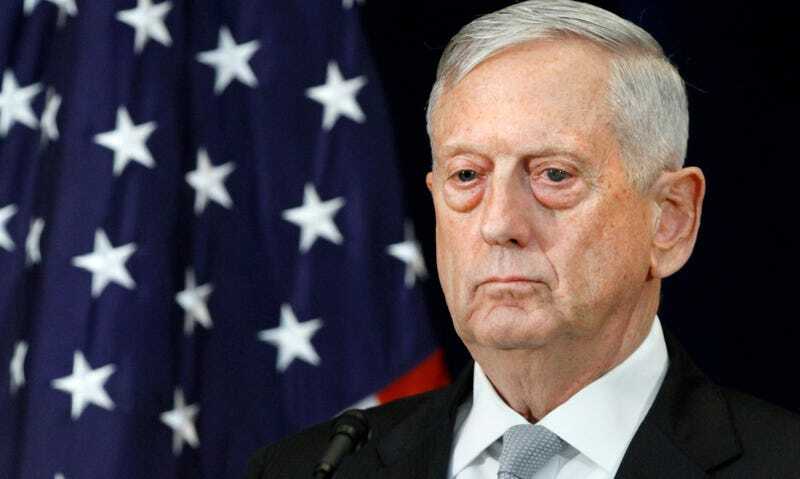 On Tuesday, Defense Secretary James Mattis announced that transgender people will continue to be allowed to serve in the US military, while he waits upon the results of a study “by experts” to determine whether their service will negatively impact military readiness or costs, USA Today reports. Luckily, such a study already exists, and the answer to these bigots’ burning question is: providing health care to transgender troops, as with all troops, costs something, and, no, it will not impact readiness. It should be stressed that in allowing transgender troops to continue serving while this “study” is underway, Mattis is following, not defying, the memo Trump issued last week that outlines implementation of his ban, which he announced via Twitter in late July. The memo states that transgender troops will not be permitted to join armed services (barring a different recommendation from the secretaries of homeland security and defense). The memo also leaves the decision of what to do with transgender troops already serving to the discretion of the Defense and Homeland Security departments, to be evaluated based on cost and readiness requirements. So maybe transgender troops will be allowed to continue to serve in a few months too, as long as it doesn’t interfere with the military’s ability to kill people, or cost the military anything extra to care for them. I stress “allowed” since transgender troops have long served in the US military, but have only recently been able to do so openly. To put it another way, even if transgender individuals can ultimately continue their work in the military, and even if some of those individuals still want to do that work after all this, the administration has already made clear with its rhetoric, with its professed calculation of its professed interests, that transphobia—not just in the military, but its very existence—can be economically, legally, scientifically justifiable. It’s incredibly messed up and violent of this administration to spread such ideas, and that’s what it continues to do.